The worse part of travel preparations is booking a hotel. Even with reviews, I’m never sure how a room would turn out. Luckily, Hotel Maruchu in Tokyo turned out to be alright. When I extended my business trip in September, I had to look for a place to stay. I found Hotel Maruchu online and thought that its location right next to Minami-Senjuu is great. 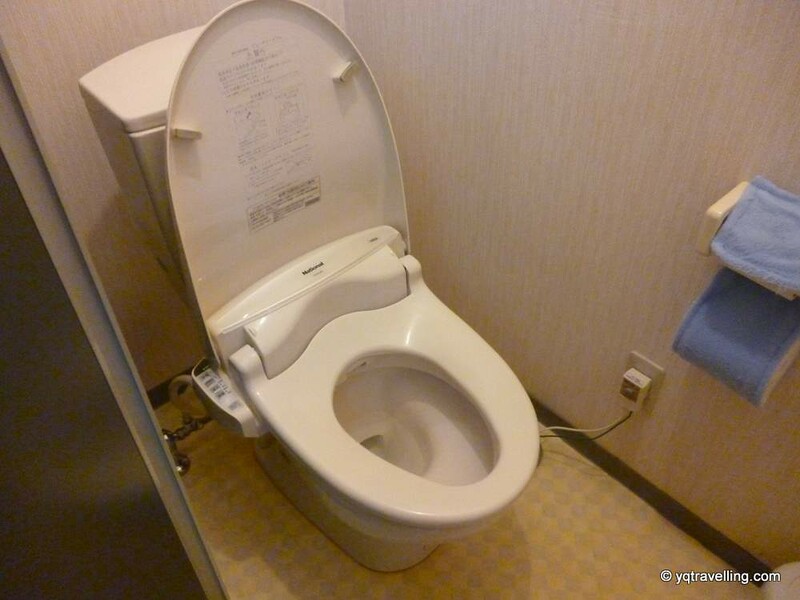 As a miser budget traveller, the 3,500 yen (US$44.5) price was what clinched the deal. 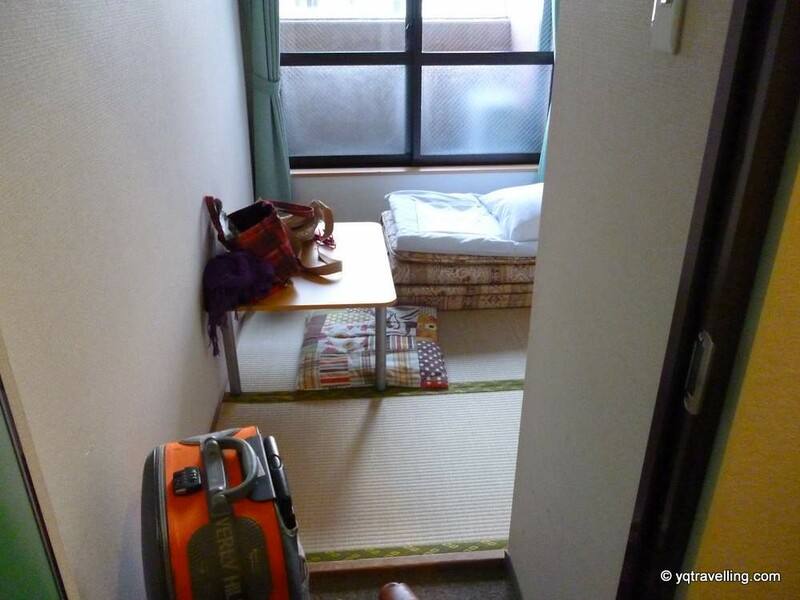 In comparison, the price of a dorm bed at Sakura Hostel is 2,940 yen (US$$37.3). The hotel was not too difficult to find. It’s just across the tracks of Tokyo Metro’s Minami-Senjuu station, and a bit more walking if you come from the JR station. There’s an overhead bridge with slopes to roll your suitcase around. I chose the Japanese-style single room (which is also a two-person room according to the sign outside). 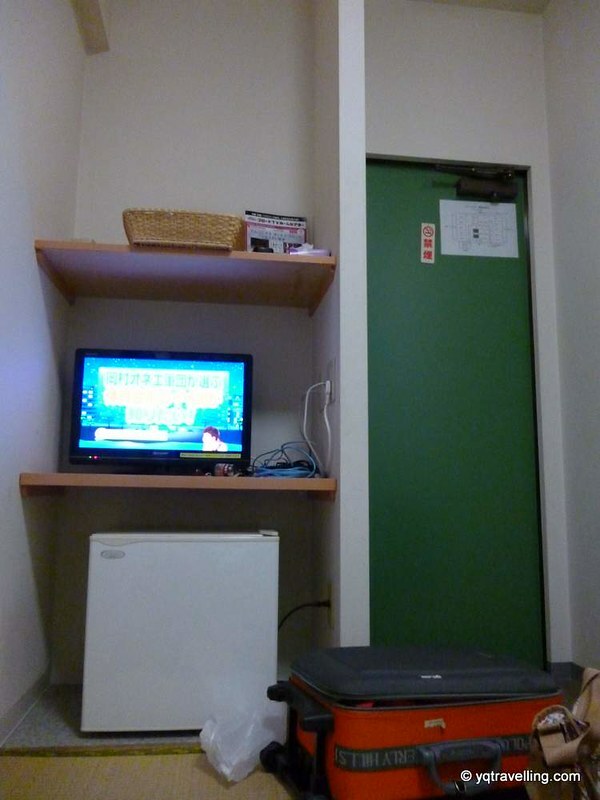 The room is really tiny but I guess that’s what you get in space-constraint Japan. There’s a Chinese saying, “A sparrow might be small, but it has all five internal organs.” The saying is a lot more poetic in Chinese, I assure you. Well, Maruchu’s room is definitely has a sparrow’s innards. My room had a futon mattress, pillow, blanket fridge, TV, bathrobe, towel, a box of tissue, a table and a cushions. It also has free Wi-Fi, take that Marriott! Bonus! A clip of me rambling on about the room. 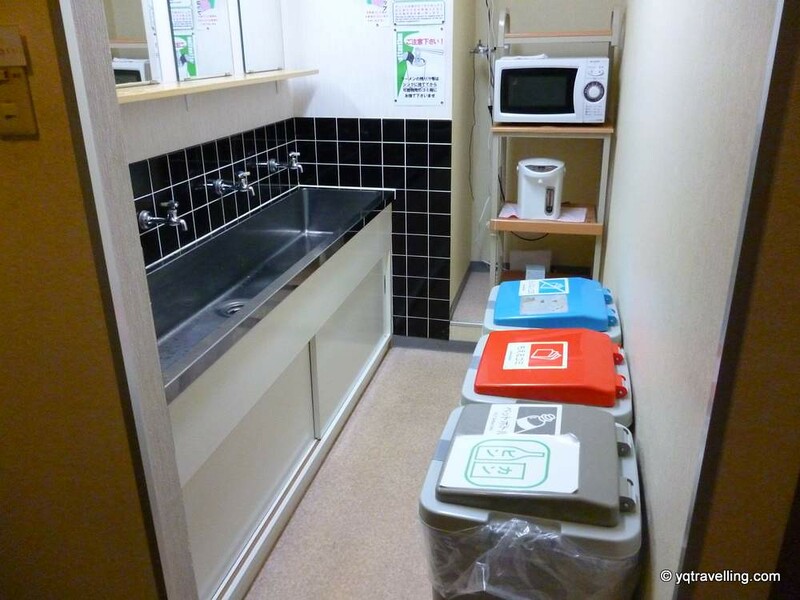 Outside the room, there’s the shared toilet and pantry. The toilet has men’s urinals (though it will be really awkward walking in on a man peeing) and the cool modern Japanese toilets. Not included in the my photos is the public bath. For me, this was actually the main attraction. In a public bath, you take a shower and bath with other people. Some people might feel uncomfortable about this but I actually like the Japanese’s nonchalance of other people’s naked bodies. As they say, when in Rome do as the Romans. Do note that the bath is open to women at a shorter timing than men. There’s a nice Japanese restaurant outside of the JR station which is within walking distance of the hotel. A 7-11 is a short walk away too. The streets were quite deserted at night when I walked to the convenience store, although I don’t think it’s dangerous for a woman to walk alone. Minami-Senjuu is near Ueno Park but it’s actually a lot further to the city center. I didn’t like the travelling. 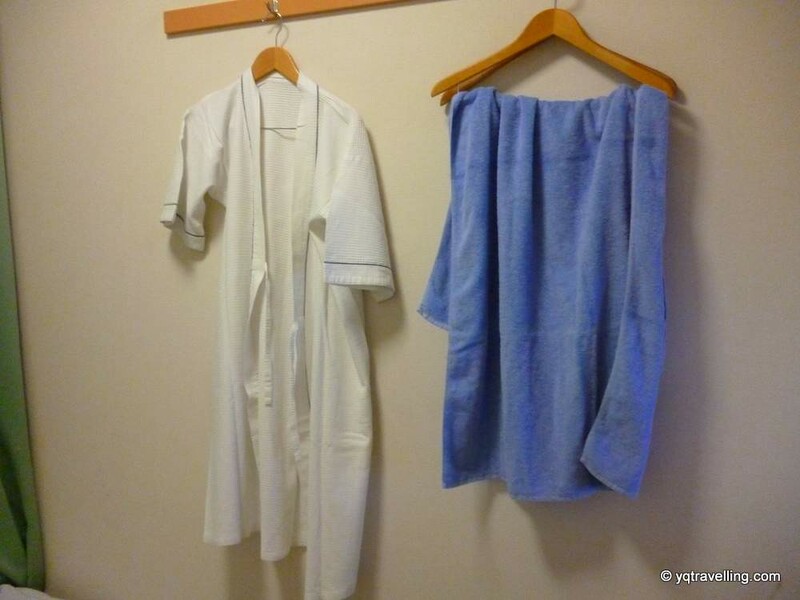 Just wonder if the shared shower room has a door? 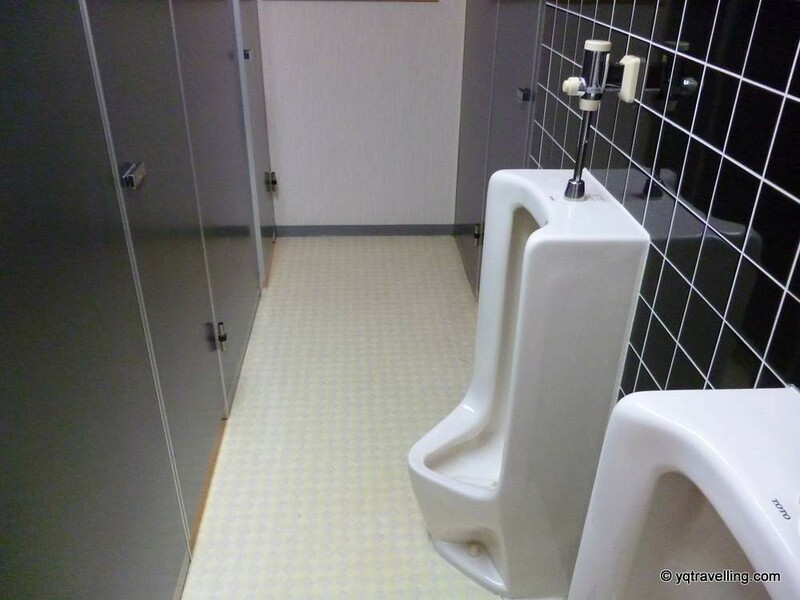 A bit of privacy? Yes. From the outside, it looked like a tiny cubicle. But I think there’s a time limit of when you can use the showerz.